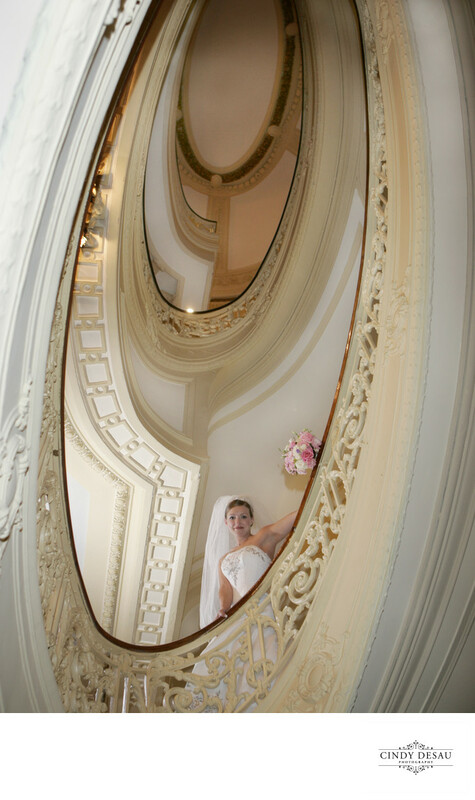 Many Philadelphia wedding venues have great architecture to work with and photograph. I wanted to use the concentric ovals of this incredible spiral staircase at the Hyatt at the Bellevue. I positioned this bride to make a balanced composition. I photographed at an angle, looking up. This bride had both her ceremony and her reception at this wonderful wedding venue. Location: 200 South Broad Street, Philadelphia, Pennsylvania 19102.